Limited edition.This scarf is designed in collaboration with artist Madeleine Hatz and is part of the Planet S collection. It´s a digital reproduction of Madeleine’s painting with the same name, printed on silk. Style with your camel coat or drape around your outfit for a artistic statement. Limited edition silk dress in collaboration with artist Madeleine Hatz. 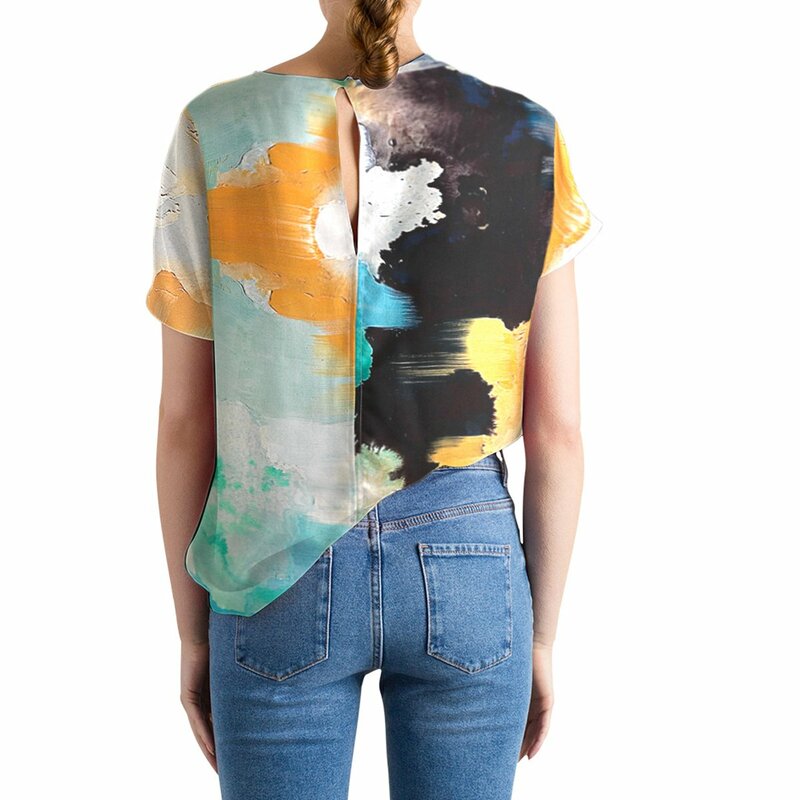 Medium sized silk scarf with artisan print in collaboration with artist Madeline Hatz.